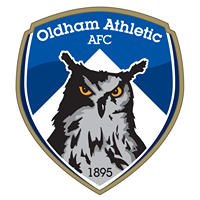 We were privileged to be mentioned on the Official Oldham Athletic FC website this week after Partners, Geoff Lamb and Vinesh Mistry attended the ground to view the existing and new LED perimeter boards. We at North Ainley feel it is more important than ever that local businesses get behind the Club. North Ainley has always supported the club, who also work with local companies and organisations, forming a key part to the community. Vinesh, thank you so much for all of your help…as we are overseas , yourself and your team made this experience run smoothly and efficiently and made this stress free for myself and Bryn.